Published under the auspices of the International Olympic Committee, Sports Nutrition is the latest volume in the Handbook of Sports Medicine and Science series. A stand–alone text, this book is also a practical supplement to the recently published Nutrition in Sport (Volume VII of the Encyclopaedia of Sports Medicine). Sports Nutrition provides an up–to–date summary of the science and practice of sports nutrition. 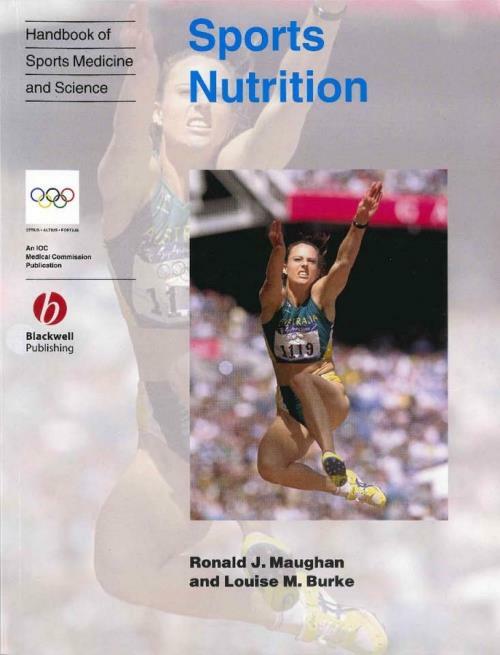 Focusing on the different aspects of nutrition related to sports, the book is divided into three sections: the first deals with issues related to training; the second to the nutritional challenges of competition and the final section deals with the practical side, looking at ways in which scientific knowledge can be translated into eating strategies and choices. Sports Nutrition is an essential reference on all aspects of sports nutrition for the team coach, athletic trainer and allied health professional working with athletes and sports teams, and the knowledgeable athlete.